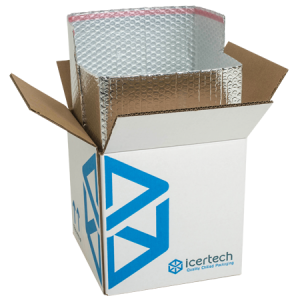 The Foil-Box is a reliable and economical solution for sending your chilled food products. 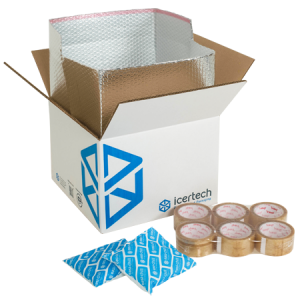 Combine with our Icer-Pack coolants to achieve a temperature of between 0 and 8°C for up to 48 hours. 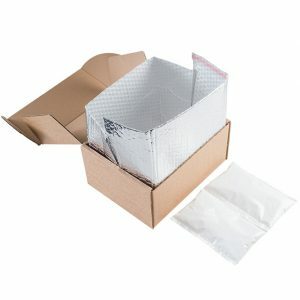 Our Foil-Box is made from a very durable double walled outer cardboard carton, which is then lined with a metalised polyester laminated bubblebag. Not only are the materials used 100% safe for food packaging but they are also reusable and, once you have finished with them, they are easy to dispose of.